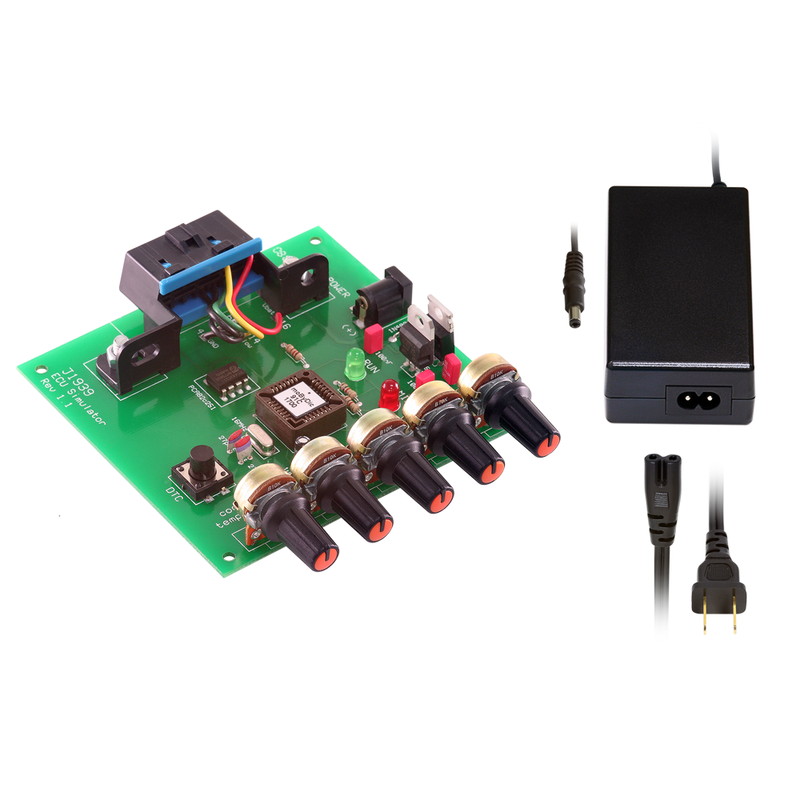 The J1939 OBDII simulator is a valuable tool for the development and testing of diagnostic programs and hardware. However, when I plug in my Carloop (with Electron connected), it doesn't appear to be getting any power (the Electron LEDs don't light up). The OBD port on this simulator is supposed to output 24v. I tested it with a multimeter and it reports 23.2v on pin 16 and between 2-3v on pins 6 and 14 (the CAN pins). Pins 4 and 5 go to ground. However, something is going wrong somewhere because my Electron never gets power. When I try the Carloop/Electron with another simulator that outputs the usual 12v it works fine. Any thoughts on what is going on here? If you take out the Electron from Carloop's socket. How much voltage are you reading across the pins that should be providing 5V to the Electron? Thanks for the suggestion-- I tried this and the voltage actually seems to fluctuate between 3.5v and 5v (and the carloop gets very hot). My test method might not be ideal since I'm using very thin probes and plugging them directly into the power and ground pins you have pictured above. I'm not sure what gauge wire you're using there and how you have the probes connected to the other end (clamps?). Were you able to test 24v with your setup? Carloop is rated for 12V, we didn't test 24V. The fluctuation is not good, if you can get 5V consistently on the pins I showed above, you should be able to power the Electron. Is the only way to power the Carloop through pin 16 on the OBD connector? Or can I plug the LIPO Battery into my Electron and get power to the Carloop that way? I'm trying to figure out a way to use the 24v simulator but get power from elsewhere (if the 24v is causing the problem). I'm having the same problem - has anyone found a solution? Did you ever get an answer on this one? I'm having the same problem. Perfect - thanks for the response and this is what I'm observing.